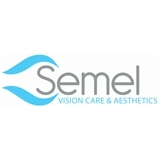 Semel Vision Care and Aesthetics (El Segundo) - Book Appointment Online! Professional staff, solid service, validated my parking. I would go back to Dr. Semel again without question.